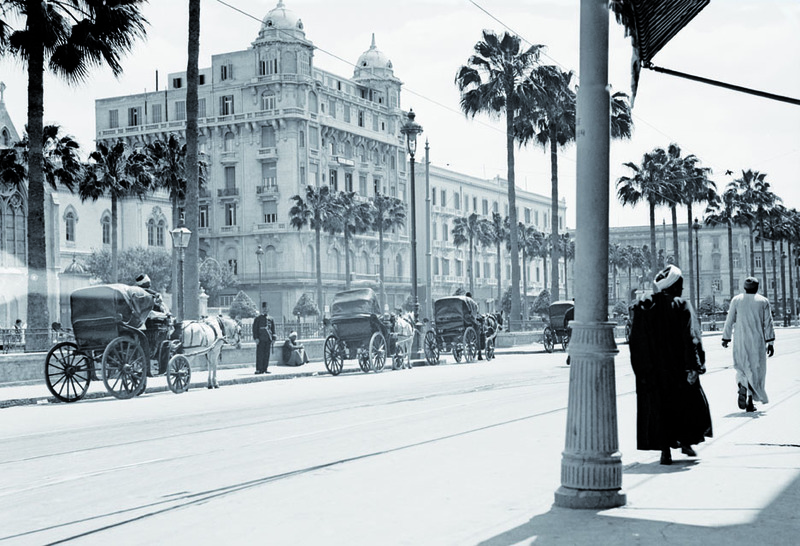 The English novelist EM Forster was 36 when he arrived in Alexandria in November 1915. He had already had four novels published, including A Room with a View and Howards End. A paciﬁst by inclination, he had decided to avoid ﬁghting by volunteering for the Red Cross, and was posted to Egypt. 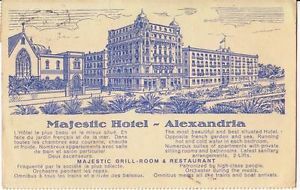 While he looked for more permanent accommodation, he took a room at the newly built Majestic, which had opened the previous year on 20 April 1914. Messrs Pappadopoulo & Co beg to announce the opening of the Majestic Hotel, the construction, furnishing and installation of which has been executed according to the latest modern methods of good taste and comfort. 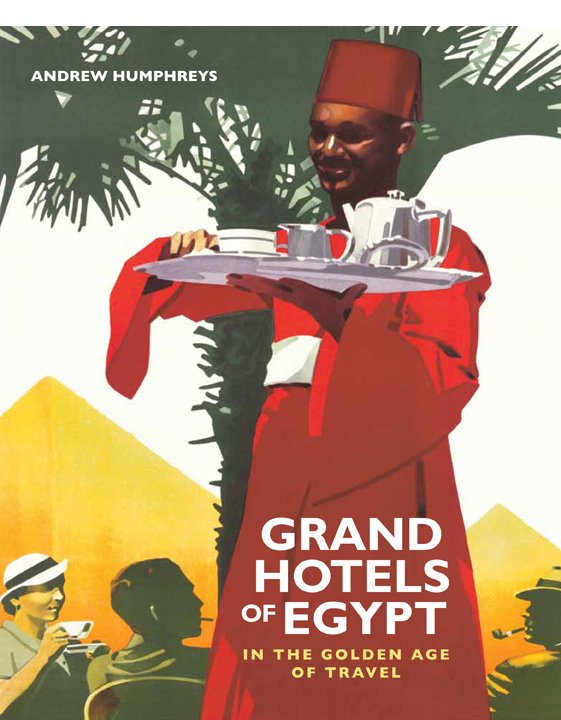 The Hotel situated in the centre of town opposite the Jardin Francais, with a splendid view on the sea, in close proximity of the new quai, the Egyptian Post Offices, the Mixed Courts, and the principal commercial Establishments offers both by its exceptional position and irreproachable service all that could be desired. Mr F. Roure who managed during 25 years the Grand Hotel Abbat and afterwards the Grand Hotel and whose repute is well known has assumed the management of the new House thus a guarantee is assured that entire satisfaction will be given. Messrs Pappadopoulo and F. Roure earnestly hoping that Travellers and Residents alike will extend to them at the MAJESTIC HOTEL the confidence which they have hithero shown to them: beg to thank one and all in advance. Forster intended to remain only three months in Alexandria but in the event stayed more than three years. He spent his ﬁrst few months visiting the city’s hospitals during working hours and walking the seafront for recreation. He wrote to his mother, ‘one can’t dislike Alex … because it is impossible to dislike either the sea or stones. But it consists of nothing else as far as I can gather: just a clean cosmopolitan town by some blue water’. 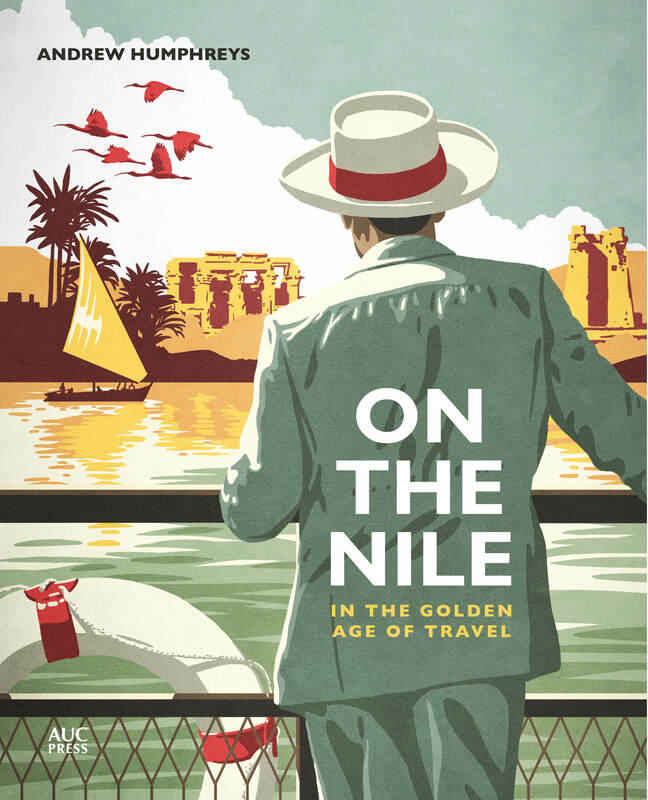 Over time he obviously discovered more to the city, finding the place sufficiently inspiring for him to produce his Alexandria: A History and a Guide (published 1922) and a collection of essays on Alexandrian themes called Pharos and Pharillon (1923). 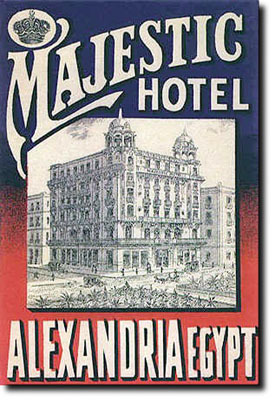 But while Forster did a fine job of keeping alive the legends and myths of Alexandria, the hotel in which he stayed has faded into obscurity. I’ve been able to find virtually no references to the Majestic. 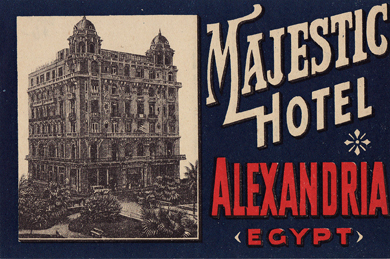 Obviously, it lacked the glamour that was attached to other Alexandrian hotels, such as the Cecil or San Stefano. I suspect its clientele leaned toward travelling businessmen, civil servants and low-ranking officials, the sorts of low-visibility types who couldn’t afford to splash out on somewhere like the Cecil but weren’t going to be around long enough to warrant finding an apartment – the sort of person Forster perhaps was when he first arrived. I don’t know when the Majestic ceased to be a hotel, but it is long gone. The building survives, though. Its lower ﬂoors are occupied by a modern shopping mall, the upper ﬂoors by ofﬁces. Until very recently it was still distinguished by the elegant twin cupolas on its front corners, but recently these were destroyed in a shameful act of architectural vandalism by an opportunistic developer looking to add an extra couple of storeys. Apparently work on the building has now ceased on orders of the governor of Alexandria but it’s a bit late. 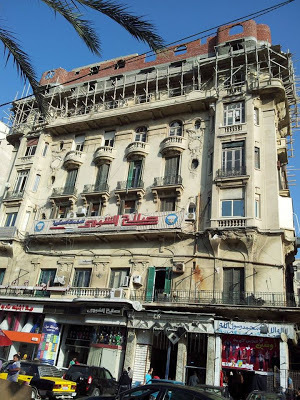 The news of what’s happened to the Majestic building (and the photos) came from the Facebook page run by Zahraa Adel Awad, an Alexandrian tour guide who is campaigning to save the city’s architectural heritage – visit her site here. 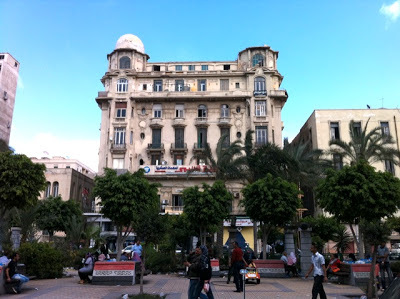 My uncle Antonio Roncaglioni was Chef au Restaurant Grand Majestic Hotel of Alexandrie the July13 of 1914. In a letter written on headed paper of the Restaurant to her sister Paolina, my Grand Mother, he refer of the European trend in that new house really European. I gard gelously that letter and I can to send you with pleasure. Please do send, I would love to post it on the site. I dicover with great pleasure your sentences. My grandfather Nicolas Papadopoulos as owner of the Majestic Hotel (and some others), have lived in the fith floor with the whole family. This includes a part of the Family who was after the Turkish struggle has to imigrate from Smyrna. After one week in the stomach of a dirty, rat contaminated, and dark storage, they will be kept at Port Said from my Grandma Aida dressed in white couture sitting in a huge cabriolet with chaufeur…. I have a small photo of the Hotel Majestic taken in 1918 by my Grandfather Norman Howard who was placed there as an officer following his rescue after being torpedoed a few hours out of Alexandria the night of 26th/27th May 2018. There are a number of other local photos taken at the time including the rescue vessel HMS Lily alongside in the docks. As I understand the Majestic Hotel was one of the Hotels used for British Army personnel at that time, and played a significant part in the war in the Middle East at that time. I would love to visit the actual building at some time and was hoping the hotel was still taking guests, but it seems most unlikely from reading the history now. I just came across a receipt from the Hotel Majestic from the summer of 1965 when I was a student. My fellow student and I stayed on the roof since all the other rooms were taken. It was worth it for the location and history.